When children are young, they trust their parents almost entirely. After all, mom and dad are their providers and protectors, and are always looking out for their best interests. 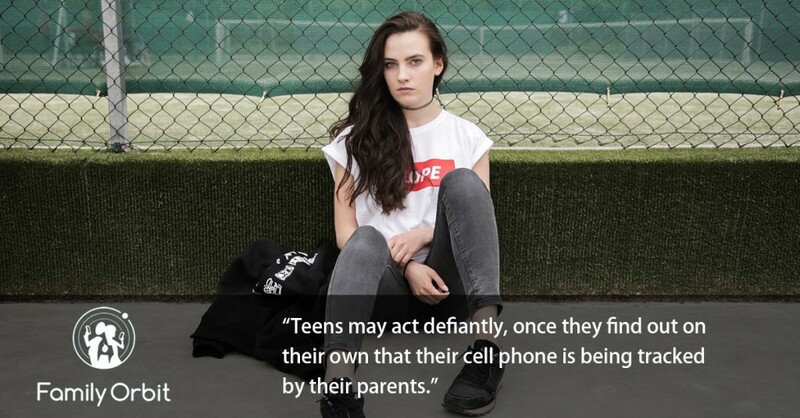 However, once children approach the teen years, their trust may start to waiver. They begin to gain more independence and start testing boundaries. Parents may find that they have to work harder to keep their relationship strong. By tracking your child’s device without their knowledge, it can erode trust very quickly. Teens may feel like they have to sneak around behind your back, and that’s never a good thing. They may act defiantly, especially if they find out on their own that they’re being tracked. Talk about why it’s so important for you to track their cell phone so that they can better understand. Parents expect that their children will respect them and their decisions, and that is certainly fair. However, in order to foster and maintain a strong relationship with your child, you should show them respect, as well. This means respecting their privacy while still taking the necessary steps to keep them safe and helping them make the best choices. If your child has never given you a reason to doubt that they’re following your rules, is acting respectfully, and making smart choices, you should resist tracking their cell phone without their knowledge. Build a strong, honest, and open relationship with them by letting them know that you will be tracking their device. Let them know why it’s important and how it benefits them. It’s a great way to show them that you do respect them enough to let them in on it. Having a more honest and respectful relationship with your child will help to minimize confrontations. By tracking their cell phone, you may occasionally catch them engaging in suspicious behavior. You can then approach them and offer them a chance to clear things up. If you were to track them without them knowing, you would have a much more uncomfortable confrontation on your hands. Parents should do everything that they can to build and maintain a positive relationship with their kids, but if they feel like they’re being spied on, that’s going to have a negative impact. Be honest with your child, and let them know why keeping tabs on their devices is important for the whole family.